If you receive a letter from the Social Security Administration (SSA) denying your disability claim, it’s likely you’ll want to appeal it. The letter sent by the SSA will advise you on how to do that. You're required to send an appeal request in writing to the SSA, and it must be received by the agency within 60 days of your receipt of the SSA’s decision about your claim. Because the appeals process can be complicated and time-consuming, it’s important to hire an experienced SS disability attorney who can help with your denied claim. Here's a brief look at each of these levels. The first level of the appeals process is a reconsideration. At this level, your claim will be completely reviewed by someone in the SSA who wasn't part of the first decision. Not only does the SSA examine all of the evidence submitted for the initial decision, it also looks at any new evidence the applicant might have. This means if you have recent or additional medical findings, you can include them to support your disability claim. Most often, a reconsideration takes place without your having to be present when your files are reviewed. If your appeal is again denied at the reconsideration and you still disagree with the decision, you can ask for a hearing. The hearing is held by an administrative law judge who wasn't involved in the SSA’s initial denial of your claim or the reconsideration. You'll be notified of the location of the hearing and when you should be there. Most often, the hearing is within 75 miles of where you live. Before the hearing, you may be required to send more evidence about your situation and information that clarifies your claim.Social Security rules require that all evidence be submitted five business days before the hearing. During the hearing, the judge asks you questions. You’re allowed to bring witnesses, but most evidence is submitted in writing including medical records and reports about your limitations. It’s possible for you to attend this hearing by video conference, however many experienced attorneys feel you have a better opportunity to tell your story in person. If you can’t attend the hearing in person, you need to inform the judge in writing. Typically vocational expert will testify at the hearing about your past work and jobs that SSA thinks you can perform. After the hearing concludes, the judge considers all of evidence and information and makes a decision about your claim. The decision is sent to you in a letter with a copy of the judge’s determination. If you disagree with the judge’s decision, you can request a review by the SS’s Appeals Council. If it agrees to review your claim, it can either decide in your case or send it back to the judge to be reviewed again. The Council can also deny your request for a review if it feels the decision made during the hearing was accurate. If your request is denied, you'll receive a letter with an explanation. If your case is reviewed by the Council and a decision is made—either a denial or an approval—a letter is sent to you explaining the decision. If the Council sent your case back to the judge, you'll receive a letter with an explanation. If the Council chooses not to review your case, or you disagree with the findings, you can file a lawsuit in a federal district court. The letter sent to you about the Council’s decision will include information about how to request that the court look at your case. If you need help appealing a denied Social Security disability claim, the attorneys at Cuddigan Law can help. We’ve assisted thousands of clients—filling out paperwork, collecting medical records, calling doctors, and managing other details for them through the four levels of the appeals process. Contact us for a free evaluation. We’ll evaluate your case and let you know how we can increase your chances of receiving an approval on your appeal. 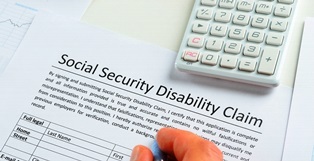 Should I Appeal My Denied Social Security Claim?